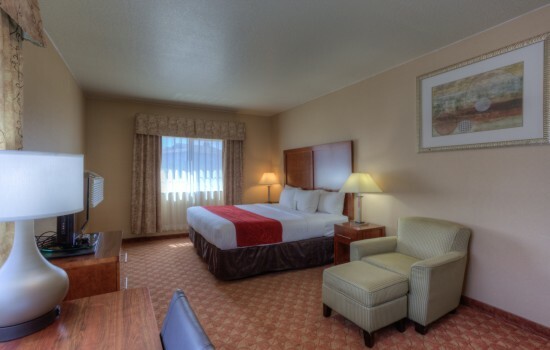 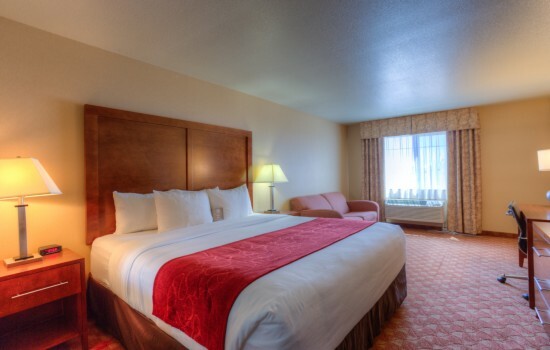 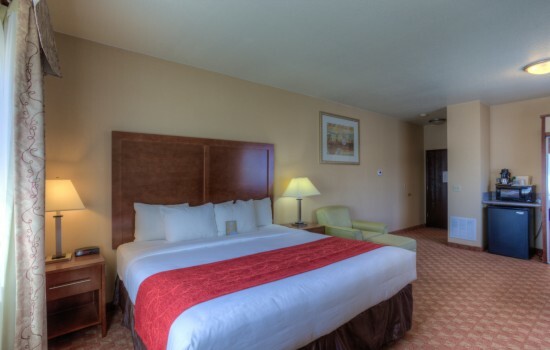 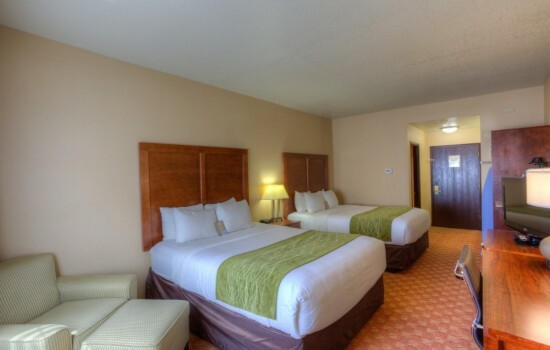 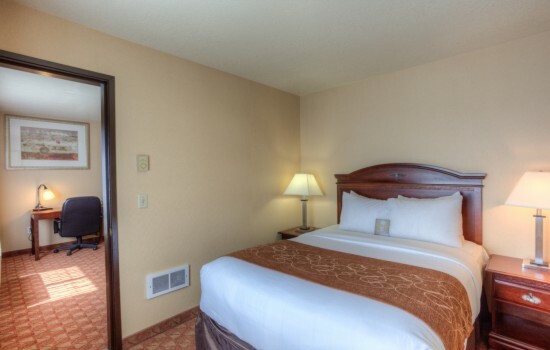 The Upgraded King Bed room at the Comfort Inn in Newport, Oregon is for those who definitely want a King bed in their room with a little extra comfort which includes a larger room, an ergonomic chair and desk - ideal for the business traveler. 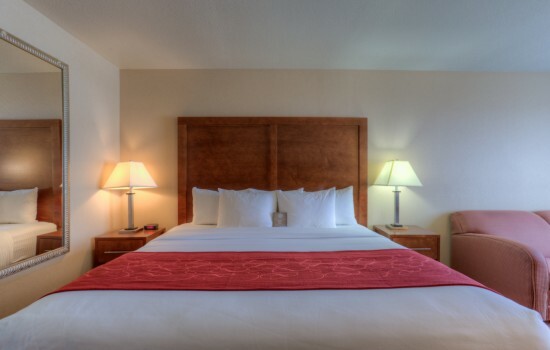 The room comfortably accommodates up to 2 people and provides a number of amenities including free WiFi and flat panel TV. 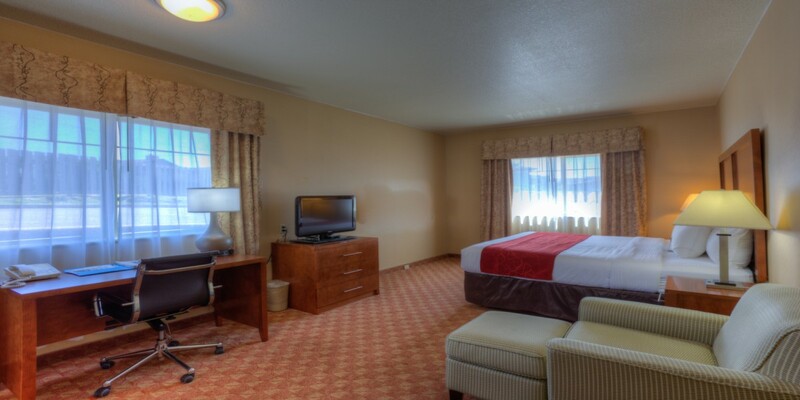 Stay in this non-smoking room at our beach side hotel next to historic Nye Beach.